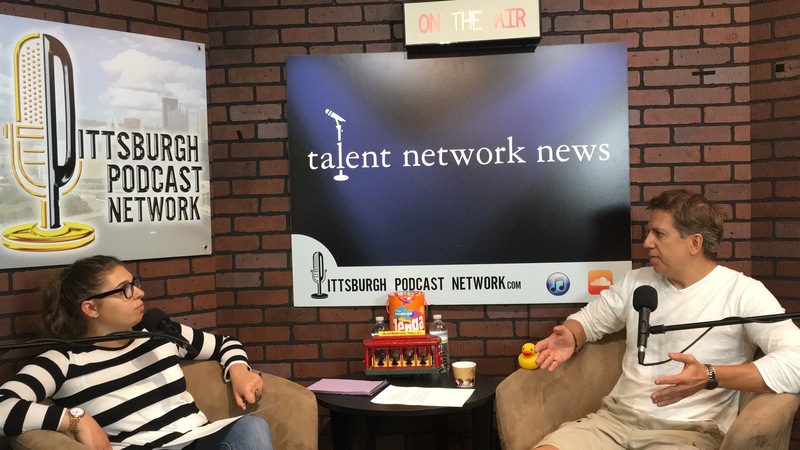 show tips Archives - talent network, inc.
Hannah Lapiska (Digital Content Coordinator/talent network inc.), sits down with company owner, David Sedelmeier, to talk about the entertainment business. The very first ‘talent talks: insights, tips and discussions’ LIVE event took place at Olive or Twist in downtown Pittsburgh on June 27, 2018. Dr. Mike Hutchinson, (Veterinarian and Animal General) clarified the facts VS. fiction about Stem Cell Therapy for both animals and humans. Larry Richert (Broadcaster, Journalist and Author) was the moderator for the evening as Dr. Mike is a weekly Thursday guest with Larry on the KDKA 1020 Morning Show in Pittsburgh. Hannah Lapiska (Digital Content Coordinator/talent network inc.), sits down with company owner, David Sedelmeier, to talk about national entertainment. talent network, for years, has made connections within the entertainment community domestically and internationally. Hannah Lapiska (Creative Content Coordinator/talent network inc.), sits down with company owner, David Sedelmeier, to talk about international entertainment. talent network, for years, has made connections within the entertainment community domestically and internationally.